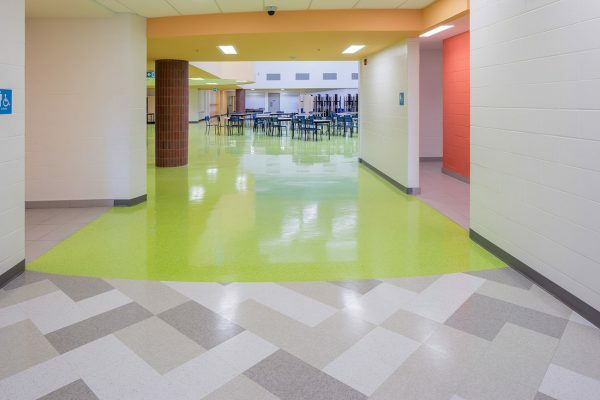 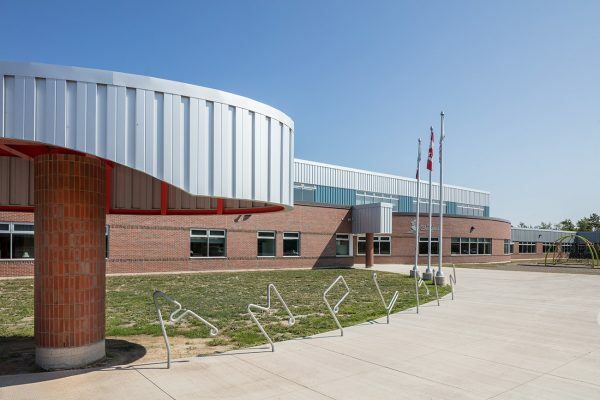 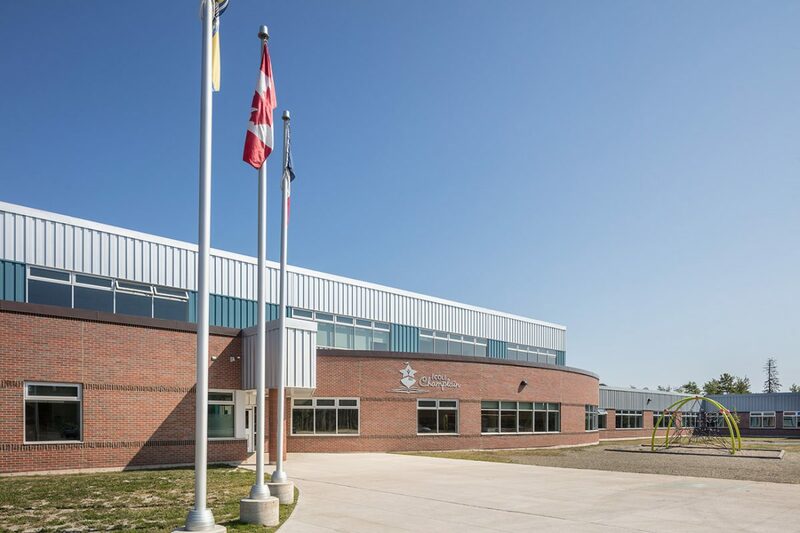 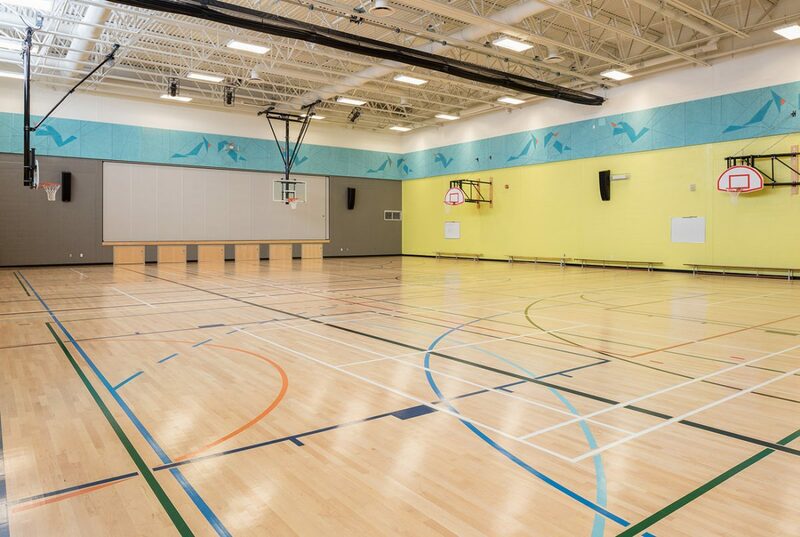 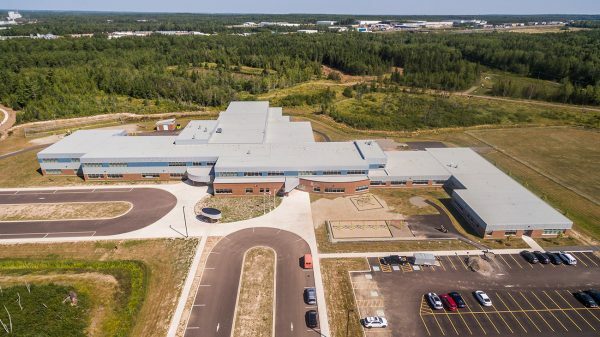 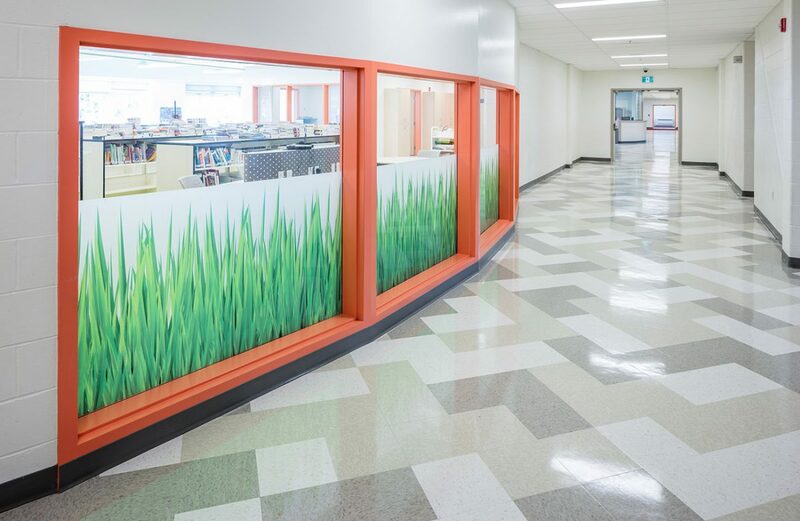 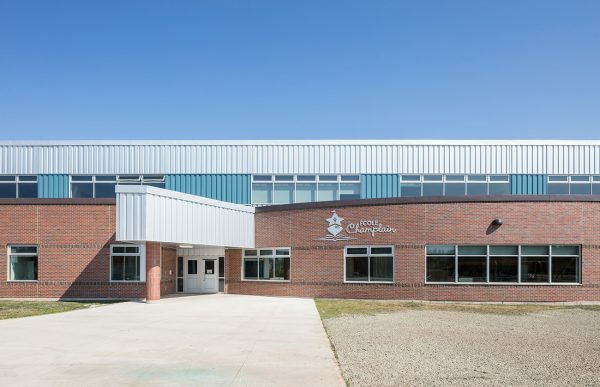 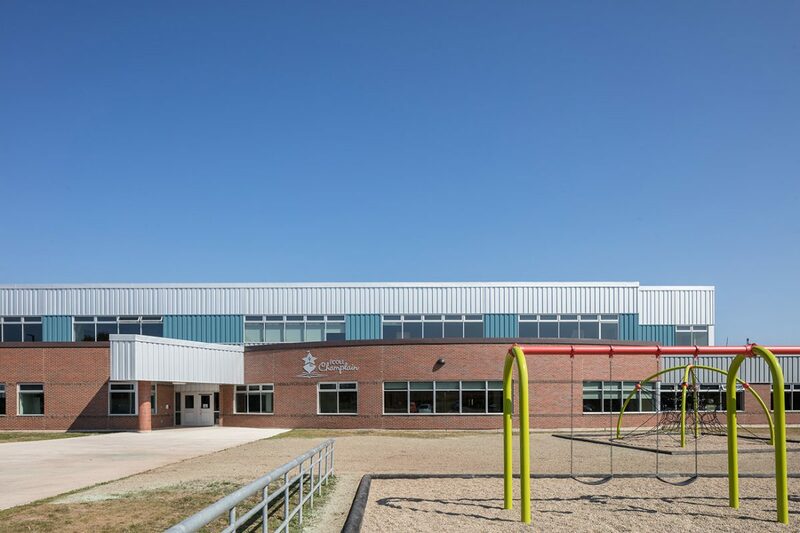 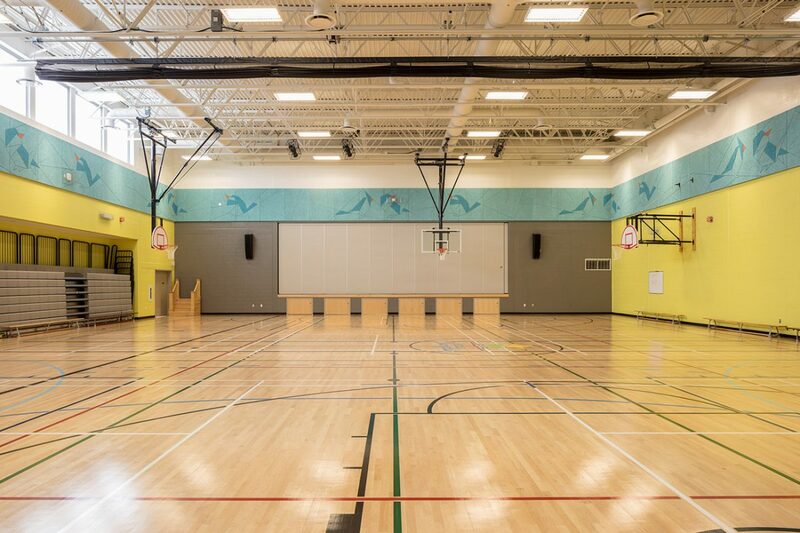 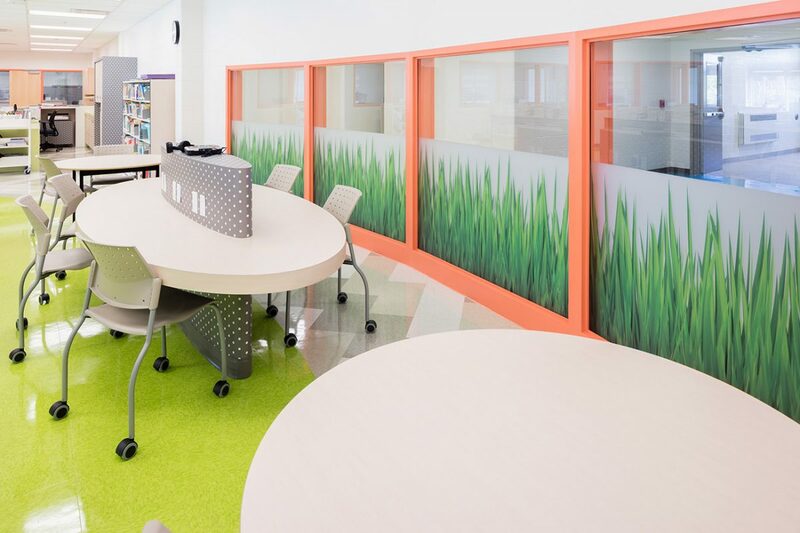 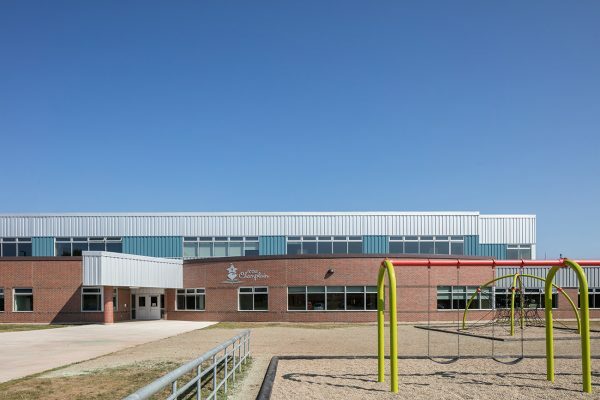 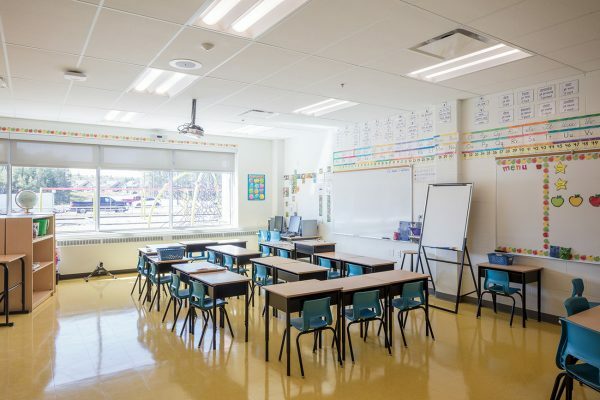 This 11 354-square-meter, K-8, francophone school was constructed to LEED Silver standards. It contains two gymnasiums, a stage, a library, a music room, a kitchen and cafeteria, and 42 classrooms. 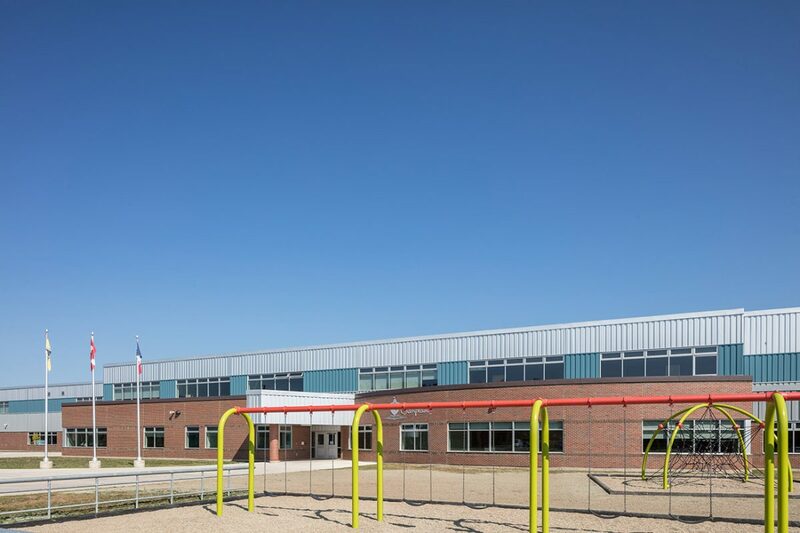 Exterior work included landscaping and the construction of a soccer field and playground area.